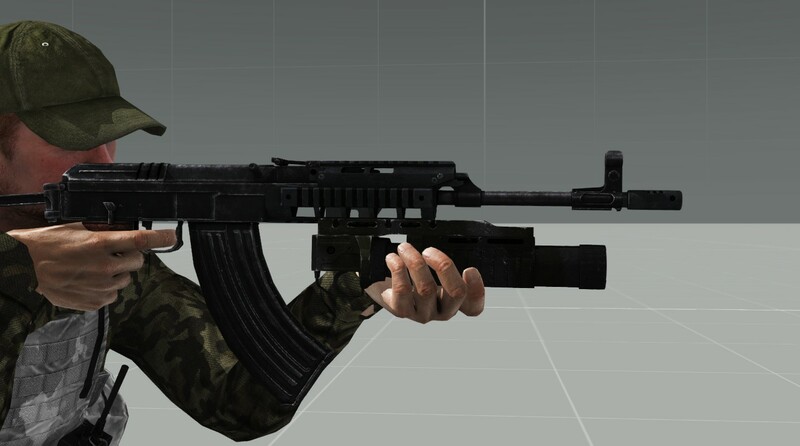 UGL is attached to RIS on handguard. G1 grenade launcher (which model has) is used on BREN rifle and attached to RIS, but if we look into manual (https://www.czub.cz/media/attachment/file/i/n/instruction-manual_cz_805_bren_en.pdf page 23 - http://puu.sh/CbHr9/e88896587c.jpg) we can see that rail itself attached directly to barrel. 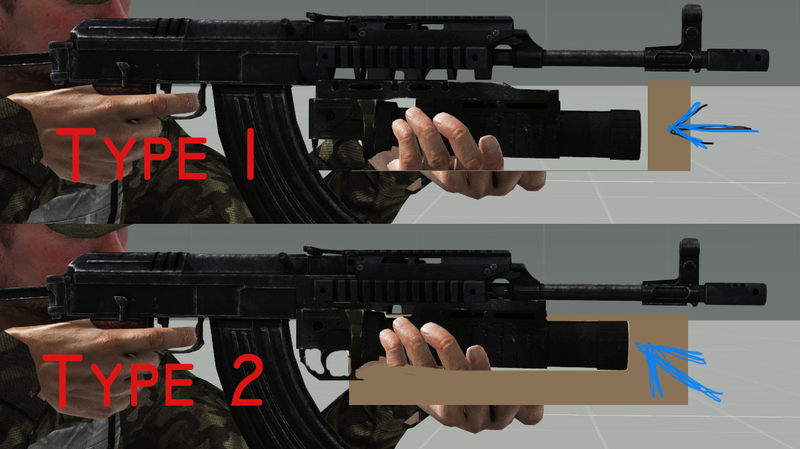 So current RIS-attached UGL looks unrealistic and should fall off after few shots (or will brake RIS handguard). It will be very very cool if UGL position can be moved. Type 1 - is unrealistic too, but little bit more realistic, as UGL attached at whole length. And it should be easy to implement. GL position changed and reload animation fixed.